I have a List called Test1 and below are the controls (only for testing purposes). I am using a Parallel Block because I have multiple scenarios that will move the workflow to the next step depending on what the user has selected. This parallel block will stop if loopVar returns True (Yes) in Parallel Block Advanced Settings. 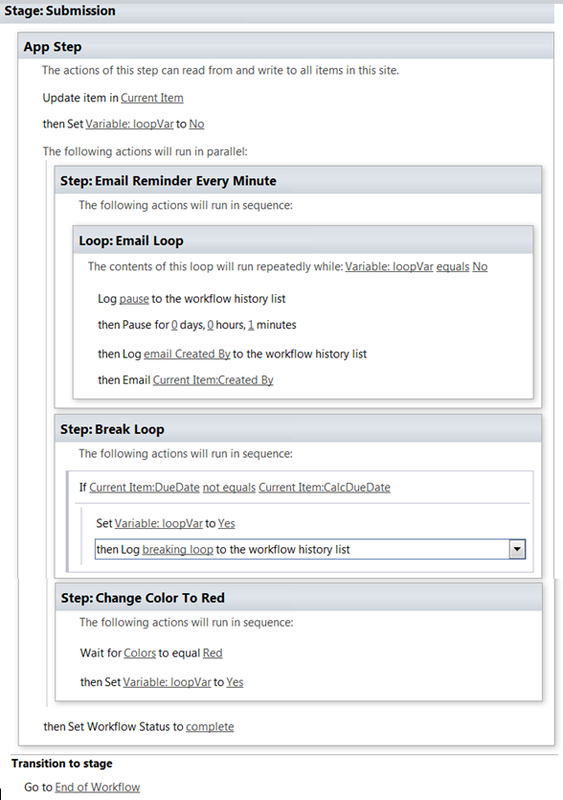 Next, in Email Loop Step, as long as loopVar = No, then the loop will pause for 1 minute and email Created By. This will continuously loop and email every minute. On the Step Change Color To Red, a user can break out of the Parallel Block if Colors = Red. This immediately stops the looping with continuous email every minute as expected. The Step Break Loop is my focus. The desired effect is that when a user changes the DueDate to something other than what is already set by the Update activity, then it will exit the Parallel Block and move to the next Step. In other words, if the DueDate has been changed then break the Loop and go to the next Step. When the DueDate has been changed, the workflow continuous the Pause activity and Emails the Created By one more time before finally breaking out of the Loop. When the DueDate has been changed then immediately stop the Loop and move to the next step. However, I can’t come up with the logic that can do this and one that would actually work for that matter. I have been testing numerous possibilities but the same issue persists. But here is my two cent, based on my understanding what you need is some way to have a task with moving due date. 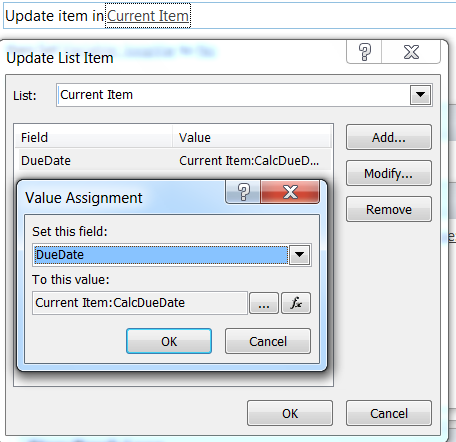 In parallel block try a task with due date set as CalcDueDate in one block and other blocks as usual. Not the answer you're looking for? 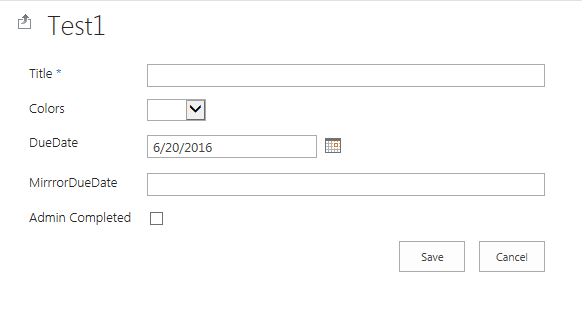 Browse other questions tagged sharepoint-designer designer-workflow loop or ask your own question.